← The Best Housecleaning Advice, Ever! Lisa: I started an organic compost pile at home. Jesse: Only at home? You mean you don’t pocket-mulch? Lisa: Oh, it’s so decomposed! Occasionally, I do community education sessions on gardening topics. My favorite subject is composting. People come in having read lots of complicated instructions online, and I have the fun of telling them how easy composting really is in practice. Basically, if you make a pile of vegetative matter, it’s eventually gonna rot. There’s not much you can do wrong! The more complex instructions, including carbon/nitrogen ratios, layering techniques, and compost thermometers, aim at the fastest possible end result. If you just want a place to put your leaves and scraps to make compost at some point, it’s much easier. An understanding of C/N ratios (thinking browns/greens is more intuitive). Compost starter of any sort (microbes that make stuff rot are everywhere). A compost thermometer (life’s too short). A special plastic bin (fills up too fast and often ugly as sin). A kitchen scrap caddy with charcoal filter (plastic baggies or cookie jars work fine; if it smells, take it out). An outdoor spot for a pile of stuff. 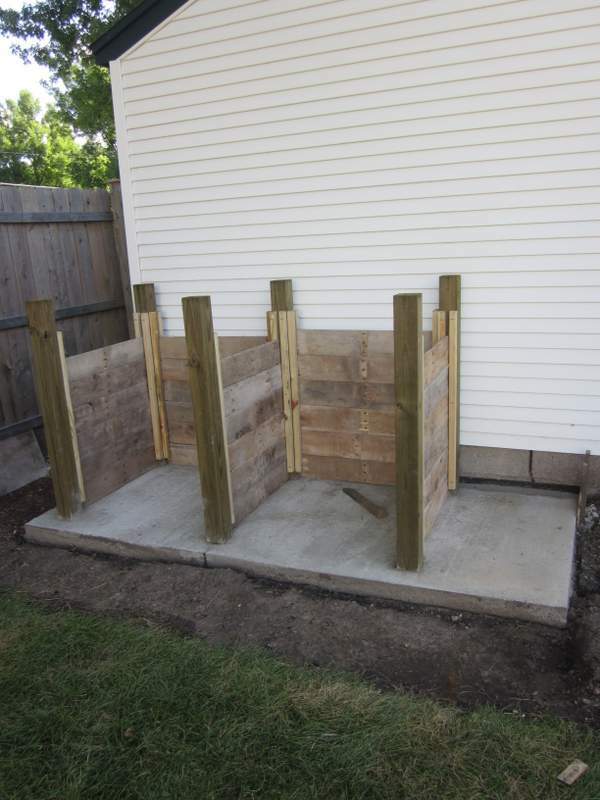 Pick a place for your compost pile. You probably want to make this somewhere that isn’t in the middle of your view (or your neighbor’s). Start throwing down some plant-based stuff. No animal, meat or dairy waste (eggshells are ok). You can throw in coffee grounds and filters, tea bags, and shredded black-and-white newsprint — they are plant-based too. Avoid throwing weed seeds in there in case they don’t get baked enough. Try to vary the size of the stuff. It’s good if air flows through the pile a bit, and variously sized chunks gives you the needed texture. Think roughly 2:1, browns to greens. Or 3:1, or 4:1. There’s disagreement on this, so basically, have some of each, but more browns. A “green” is something that would become slimy if left in your fridge for a while. A “brown” is dead leaves, newsprint — the vegetative stuff that wouldn’t get slimy in your fridge. These things aren’t necessarily green or brown, obviously. Don’t worry too much about the ratio, though — if you have a lot of leaves in there, boost up the wet, juicy kitchen scraps a bit, or vice versa. If the ratio’s wrong, it will still rot. Every couple of weeks, take your fork and turn the stuff over a bit. If you don’t, it will still rot — it will just take a lot longer. If the pile dries up, sprinkle some water on it. It helps if it stays moist but not soggy. But if you don’t, it will still eventually rot. 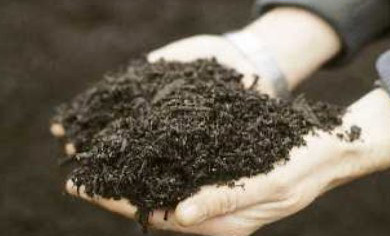 When you start to get some finished compost, throw that business down in your garden beds. BOOYA! Our two-bin system, made of pallet wood, while under construction. Only the internet could make “put things in a pile and let them rot” into a source of confusion and overwrought commentary! I hope this post helps make this process as simple as it really is. This entry was posted in Outdoor Building Projects, Yard & Garden. Bookmark the permalink.